Gum infections, also known as gum disease or periodontal disease is more common then you might think. The Journal of Dental Research estimates that nearly half of adults have experienced some form of mild to serious gum infection! While we all know that what you eat weighs heavily on oral health, what many don’t know is that there are several risk factors associated with gum infection. These include age, genetics, hormonal changes, smoking, stress, and even certain medications. Though fairly asymptomatic in early stages, clues soon begin piling up. Let’s take a look at some of the common symptoms that you should make sure to look out for. 1. You have Red or bleeding gums. When you brush your teeth, floss, or even when you eat, you might notice a small amount of blood at your gum line. Though many assume this is common, it actually is not. If it has been a long time since your last cleaning, setting up an appointment might be the first step towards a remedy. While speaking to your dentist, mention the condition of your gums so that he or she can check for any potential infection. 2. Your gums have been swelling. Swelling of the gums is a surefire way to tell that your gums are being irritated by something, and that something might possibly be a gum infection. At times with gum disease, the swelling can be so severe that it can actually change the fit of dentures, a retainer, or even the way that your teeth fit together as you bite down! Be sure to take note of any swelling, and consult your dentist if you notice a pattern. 3. You notice stubborn bad breath. No one ever wants bad breath. 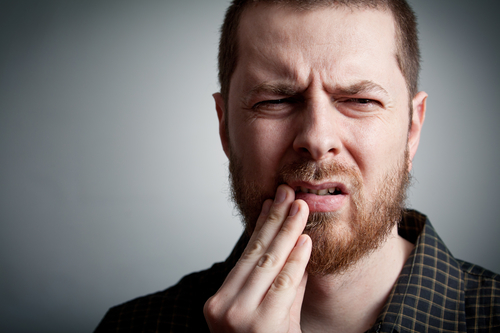 Whether you ate a spicy meal, or just haven’t gotten around to brushing, it’s a commonly experienced dental grievance. But when you notice that despite an excellent oral hygiene routine, that your bad breath sticks around, you may want to speak to a dental professional to ensure that there is no infection involved. Although very unpleasant to experience, getting sores in your mouth can be more than just a nuisance or an inconvenience. If sore seems to be lasting a bit longer than normal, or if you have more than one or two at a time, see your dentist and make sure no infections are to blame. ← Considering veneers? Don’t be fooled by misinformation!